Design a custom phone case for the Sony Xperia X. Pick your favorite photo or custom design and we'll print it. Keep your phone looking stylish and keep it protected! Create a unique and custom phone case for your Sony Xperia X.
Sony’s latest flagship smartphone, the Sony Xperia X Performance, is a powerhouse with great specs and a good looking exterior. So why risk damaging the smartphone in anyway? One of the best methods to prevent unwanted and unexpected scratches and dents is to design a custom phone case for your Sony Xperia X Performance. This hard case provides your device with the protection it deserves and makes it look great all at the same time! Using UV printing and high quality ink, we here at GoCustomized ensure that your custom phone case comes out sharp and beautiful in the shortest amount of time possible. Of course it’s important that you can continue using your phone like you always have, so we’ve created openings where all the smartphone’s buttons, ports and speakers are. This way, you can easily listen to music and charge your phone, while knowing that your device is reliably protected against any damage. 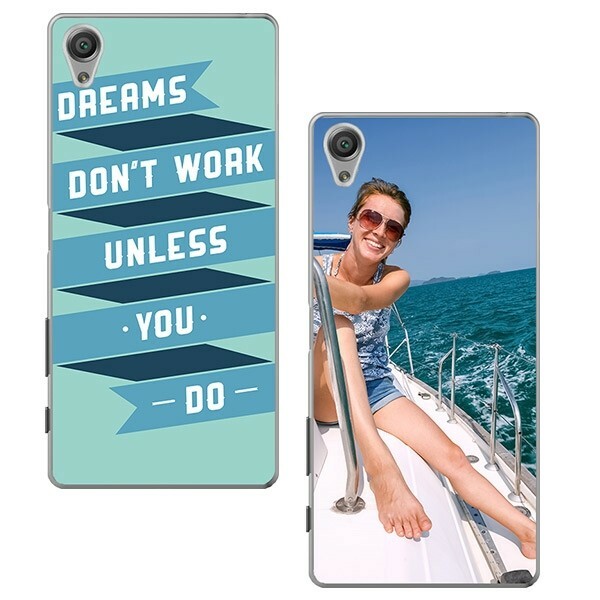 So don’t wait any longer and create your own phone case today! Conveniently make your own phone case with our editor. 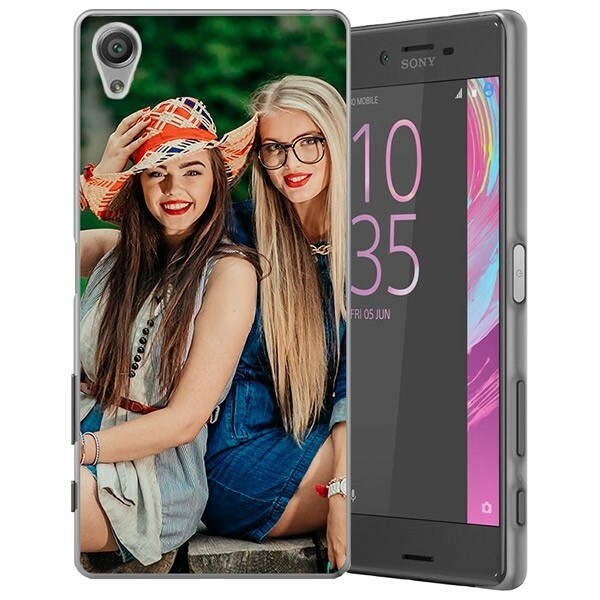 We’ve created our editor to allow you to design your own custom phone case for your Sony Xperia X as easily as possible. You can upload any photo you would like directly from Facebook, Instagram or your PC into our editor and begin editing the image until you’re completely satisfied with the result! Resize, rotate and reposition the photo to your liking and finish it off by adding a meaningful quote or phrase using the large variety of font styles and colours we offer. Would you like to create a custom phone case for one of your friends, but they have a Sony Xperia X? You can find it here! Create a case in no time! It takes very little effort and almost no time to make your own phone case. After you’re done designing the case, we begin work right away! Using advanced printing techniques and high quality ink, we can create your custom phone case quickly and sharply. Afterwards, your order will be wrapped and shipped off quickly! If you still have questions about your custom phone case for your Sony Xperia X Performance, feel free to contact our support team at support@gocustomized.com and they’ll get back to you as quickly as possible.